What customer management tools do you use for your online or in-person wellness business? Don't stress it, we've got you covered. An efficient way to organize all of your customers on a single platform, accessible and viewable with a single click. Say goodbye to a scattered collection of client files for good! 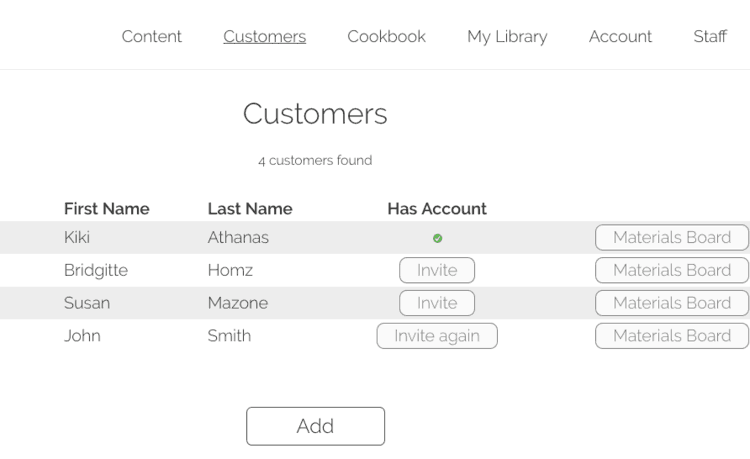 Whether or not your customers are Meal Garden users, we make it easy to have all of your clients' information listed in one central place for quick and smart reference. Your clients' needs are unique as they are - so should the content and resources you provide them with (without you spending hours of work on it). Build custom Home Boards for each client - easily making use of your pre-existing content, the constantly updated Meal Garden database, as well as whatever new individualized recipes/meal plans/reading materials they require. Repurpose content on a client-by-client basis, and also have the ability to design group wellness programs - always with the option for those highly valued individualized touches. Differentiate yourself by going above and beyond simply offering mass-marketed and targeted "programs" that don't really work perfectly for anyone in particular. Here's your chance to offer true value and the meaningful help individuals are searching for. Interact with your clients in an engaging way - even when they're not in your office (or your online Facebook group). Send them notifications and reminders to stay on track the plans and wellness regimes you build out for them. Just created something new for your client? Notify them instantly via SMS or Email with a single click. They'll appreciate the updates just as much you'll appreciate this time-saving hack to stay on top of your wellness practice game!